Welcome to the South Western Sydney Clinical School of UNSW Australia. We are delighted you have joined one of the leading teaching and research universities in Australia. In joining the South Western Sydney Clinical School you join one of the fastest growing health precincts in the country. The School aims to further grow our academic output by developing the training programs provided to both our MD Program and Postgraduate students and building on the already strong growth in research publications and grants in south western Sydney along with our partners at the South Western Sydney Local Health District and the Ingham Institute for Applied Medical Research. We trust the information will help you in setting in, but if you have any queries don't hesitate to contact the School Office. myUNSW, the online staff and student portal has a comprehenisve UNSW Online Orientation program which will assist staff with the basics of starting work at the university. Much of the information relates to life on campus, so this site aims to provide additional information that will assist with working at the south western Sydney campuses. This course is designed to provide an introduction to the NSW workplace health and safety legislation and an overview of relevant systems, policies and procedures at UNSW. It is also compulsory for all staff to explore and understand equal opportunity issues on campus through the self-paced learning program eOOline. Equity principles, terminology and application are explained through real life case studies and interactive learning techniques. Your manager will also work with you to determine what the most appropriate training and orientation is to your position. Staff based at the Hospital or Ingham Institute sites will also need to undertake mandatory training required by these organisations including fire training. UNSW issues ID cards to all students, staff and contractors for the purposes of identification, library borrowing and electronic building and room access on the main campus. If on campus, take your completed Staff ID Card Order Form (which must be signed by your manager) and proof of identity to FM Assist who will issue your Staff ID card. Because of the distance to campus, it is sometimes possible for the School to arrange for a Staff ID card to be issued and sent to the School Office; so please contact the School if you have any difficulties. These forms will need to be appropriately authorised by the School's Chief of Staff in order to be actioned by HR and Security at these sites. Depending on where you will be based you may need access to UNSW or Local Health District computer systems. As a new staff member at UNSW you will receive a staff ID upon employment. You use this as your UNSW username with your zPass to access online resources at UNSW. Each staff member is automatically assigned a UNSW email address and UNSW Exchange mail account. 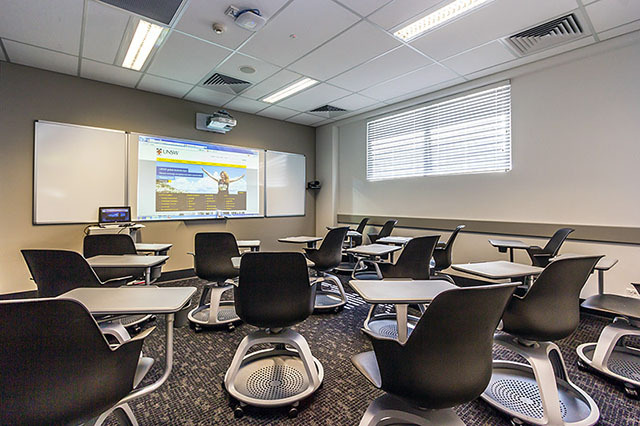 At the south western Sydney campuses you will also have access to our free UniWide wireless service in various teaching and research facilities. For more information on UNSW IT services please visit the UNSW IT Service Catalogue. Your manager will work with the School to ensure the apppropriate IT facilities are available for your role and the Medicine Computer Support Unit has a team member based at Liverpool Hospital to help staff commencing in the south west. In some roles it may be more important for an academic, research or administrative staff member to have access to the Local Health District (LHD) network and computer systems. In these cases, staff should contact the School to determine how best to have an account set up with the LHD. The School is here to assist with any other issues with settling in. Contact us through the details on the Find Us page if you have any queries at all.